Am I looking for the ratio of burnt dishes to fine dishes? Well-cooked to not? My general happiness? When should I replace a pot or pan? I am unsure where to begin. Your pans may be too thin, that would make your dishes burn easily. You can test your pans with a simple experiment. Place a thin layer of water in your pan (an eighth of an inch, or just enough to cover the bottom). Turn on your burner to high. If you have an electric stovetop let the burner glow before placing the pan on the burner. 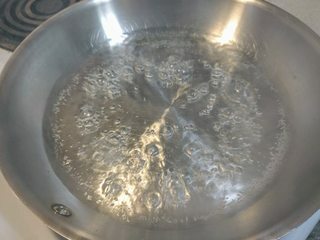 Watch how the bubbles form in the pan. If they are uneven over the bottom, you have hot spots. If your pans have hot spots you need to stir more often and maybe lower the heat from what the recipe calls. Pans with thicker bottoms and made with good electric conductors (copper or aluminum) have fewer hot spots. Then there is what I call the Remick Maxim. Three years ago when I decided I would learn to cook better, I went through many cookbooks and asked a lot of people for advice. A great friend (a French restaurant level cook) told me the best advice he ever got was from the actress Lee Remick, a good cook herself. She said: “the secret to great food is to cook it in low heat.” Best advice I got on cooking. Cook something in a relatively thin layer on the bottom. See if it is obviously hotter in some places than others. Or see if you're constantly cleaning burned food off of some places and not others. The major selling points of pricey pots are heat distribution and nonstick. You already know if you want more nonstick, so what you want to look for is heat distribution. This seems like it would be a difficult thing to objectively measure. I personally have never done that. However, I will offer some nerdy ideas and suggestions. These are approaches I would actually try myself if I ever had the time or inclination. First, I think bmargulies suggestion to try cooking things is a good approach. The intent is to see if there are hotspots. However, I think you might be better off with objective measureable results. I'd suggest getting a hand-held infrared thermometer (e.g. Fluke 62 Mini Infrared Thermometer [I haven't personally used this]) and measuring different things. Measure heat distribution and try to find hot spots. A good pan will have an even distribution, and should have no strong hot spots. If there are hot spots, how much hotter are they? Timing how long it takes the pan to reach a specific temperature, given a specific flame setting. Turn off the heat source once the pot is at temperature and measure how well it retains heat. Does it cool evenly? I surmise this is likely to be related to the previous ideas. @Harlans's flour trick works, but the problem is in looking at it afterwards, as it might get stirred up too much to give a good picture. I would think a crepe would be a good test -- you'd be able to flip it out and get a good picture of how the heat was across the bottom of the pan. An omelet might work well, as well, but they both sometimes have problems with sticking. You could also try a thin layer of water (maybe 2cm or 3/4"), and put it over high or medium high heat, and watch to see which areas are bubbling. +1 to the flour trick. An IR thermometer would be nice to test the temp of your pans, but for evenness the flour trick is best. Although I am curious about how hot they actually get--just not $85-curious. My cast Iron pan has a huge hot spot right in the center. I tested 3 different levels, high (9), medium (5), and low heat (3) on an electric range. The high heat had the greatest hotspot and the coolest edges. The lowest setting heated more evenly but took a long time to heat up, 25+ min. Cast iron conducts heat poorly and unevenly but retains it. I also believe the hot spots occur because the high sides sap heat away from bottom's outer edge. It would be interesting to compare a the pan to a griddle. My stainless steel pan with the aluminum sandwich core heated very evenly on medium (5). I only tried one setting. Yes, there were minor variances, but nothing compared to the cast iron pan. Also, it heated much faster. Overall I was really impressed by the pan's ability to heat quickly and evenly. The photos speak for themselves. This is the cast iron on 3, 25+ min vs. stainless w/alu core, ~8 min. The actual heat distribution in a cooking vessel (in combination with heat source) can be well examined with a thermal imager - technology which was hardly commercially viable ($1000+) to the curious enthusiast in 2010, but has gotten more affordable looking at it from a 2017 standpoint (especially devices using existing smartphones as platforms, available below $200). Not the answer you're looking for? Browse other questions tagged equipment cookware or ask your own question. how can I tell if my pots and pans are ferrous? Does heat distribution vary between uncoated stainless steel pans and non-stick pans? Need to replace my “Bean Pot” what should I look for?